As the UK talks of cuts and austerity, this book explores for beginners the true scale of our financial problems, and some of the controversies behind modern spending. Warning: do not read if you suffer from high blood pressure, or lack a sense of humour in a crisis. What is the difference between Deficit and Debt? How much does the United Kingdom Government really owe? Who is Scotland’s forgotten debt genius? How big could you build a new Hadrian’s Wall from Pound coins paid out of Britain’s debt? 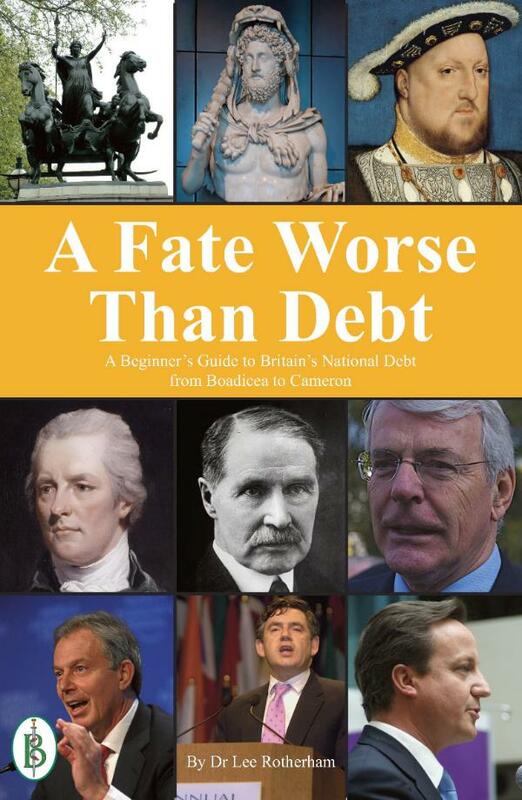 Why was Britain’s first civil war two thousand years ago triggered by debt repayments? How did WW2 US airmen unexpectedly help bail out Britain’s war effort? What was the Geddes Axe, and how far did it swing? What can a wombat’s posterior warn us of? How big is our creek today and is there a paddle? Launched to coincide with the Coalition Government’s “make or break” 2013 Budget, this book puts the country’s financial problems firmly under the microscope. It explains what is going on and why in terms the layman can understand - and will find absolutely terrifying. Possibly the most important - and terrifying - book about government you will ever read.